Is the Botanic Farm essence as brightening as it claims to be? Brightening products are known to treat hyperpigmentation, sun spots, dull skin, and even acne scars! 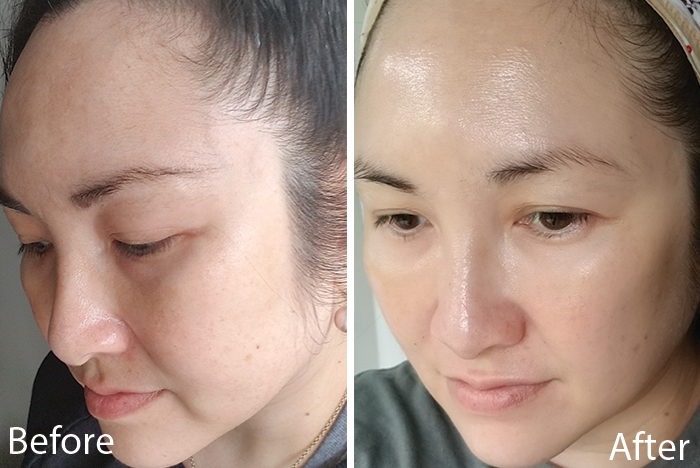 We asked a Klog ambassador (a dedicated reader who loves trying skin care) to test the essence for two weeks and share her honest opinions. Keep reading to find out what she thought! Meet Michelle. She previously tested the Plant Base Ampoule for us, and this time, we asked her to test the Botanic Farm essence for us. Below she’s detailed exactly what she thinks of the product. I definitely cannot do a skin care routine without an essence. I love my essences. 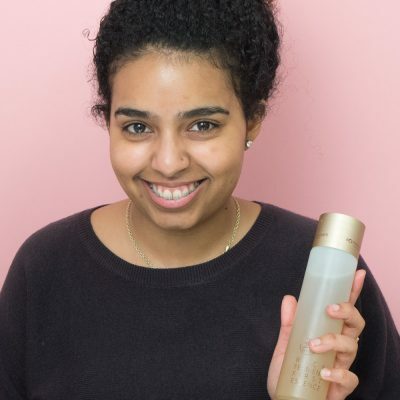 The Klog’s article Everything You Need to Know About Essences mentions that you’ll benefit from essences if you have “dry skin, mature skin, or an uneven skin tone.” Oh my, I fall into all of the above categories! In addition, I have a lighter skin tone, which makes me more prone to different types of hyperpigmentation. I also struggle with my skin discolorations from prolonged sun exposure. The melasma on my forehead, darkened pigments, and sun spots on my cheeks and nose all make me sad every time I look in the mirror. I definitely love using my acids and vitamin C for brightening, but I felt like I needed more. 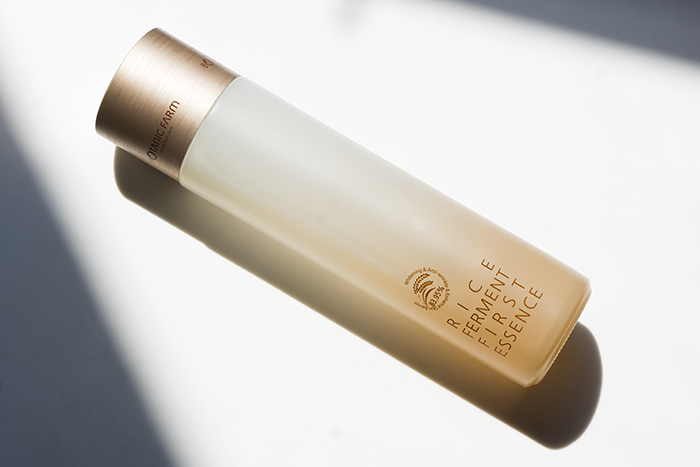 The Botanic Farm Rice Ferment First Essence is such a lovely essence. It’s clear and watery-like, so I try to pat fast so not to spill any goodness on the floor. It does remind me of Missha’s Time Revolution essence, since they are both made with fermented ingredients. It’s so refreshing and soothing, without any sticky or tacky feeling. Whenever you see “first essence” it should follow after cleansing. So, I used this as my first treatment directly after cleansing Before this…as I mentioned, I was using Missha Time Revolution The First Treatment Essence, which I like as well. However, the Botanic Farm essence gives me more of a healthy glow! I’m not sure if it’s because of the actives in it… but for now I replaced my Missha essence with this one. Thereafter, I resume with my normal routine (toner, serums/ampoules, oils, moisturizer). Did it change my skin? This is my favorite question for this product. Yes, it definitely has made my skin brighter. I wake up every morning looking refreshed and glowy. I think with time, this will help me achieve my honey dewy skin glow faster. And I’ve only been using this a few weeks. My skin is smooth right now. I’m totally enjoying my dewy skin. This essence truly helps with my glow. Maybe it’s the licorice extract, or the lactic acid; I just know my skin likes this stuff. I for sure highly recommend this product; I see myself talking about this to family and friends (ones who have skin that’s dull, mature, and definitely uneven skin tone). I’ve had my eye on this product for some time before receiving it. So I am beyond happy that it did not let me down. + Have you tried the Botanic Farm essence? Let us know your favorite brightening products below!